Project: Installation of 8 Process treatment holding tanks in the processing plant for washing vegetables and the filtration of the waste water. At the end of January/beginning of February 2018, O’Reilly Oakstown Ltd were commissioned by Patrick Hickey to design, build and install 8 process treatment holding tanks in Hickey’s Farm in Ardee, Co. Louth. O’Reilly Oakstown were awarded the contract by Hickey’s to install 8 Oakstown Process Wastewater Treatment holding tanks. 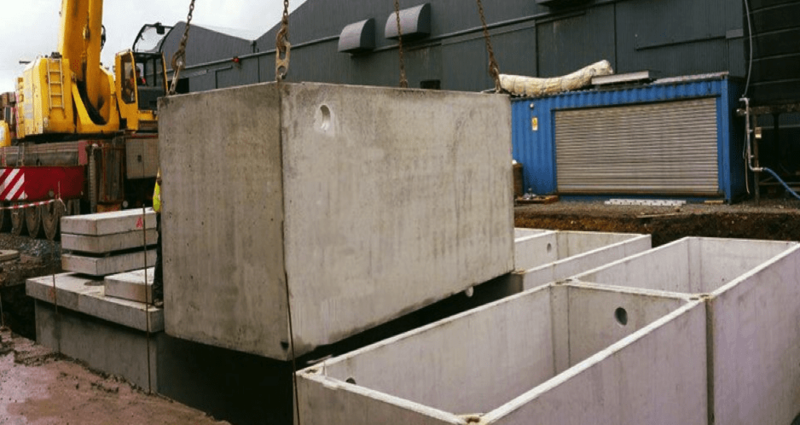 The tanks were installed for washing vegetables and for the filtration of the waste water with a maximum flow of 10 m3 per day with the sedimentation tanks comprising of 160m3.